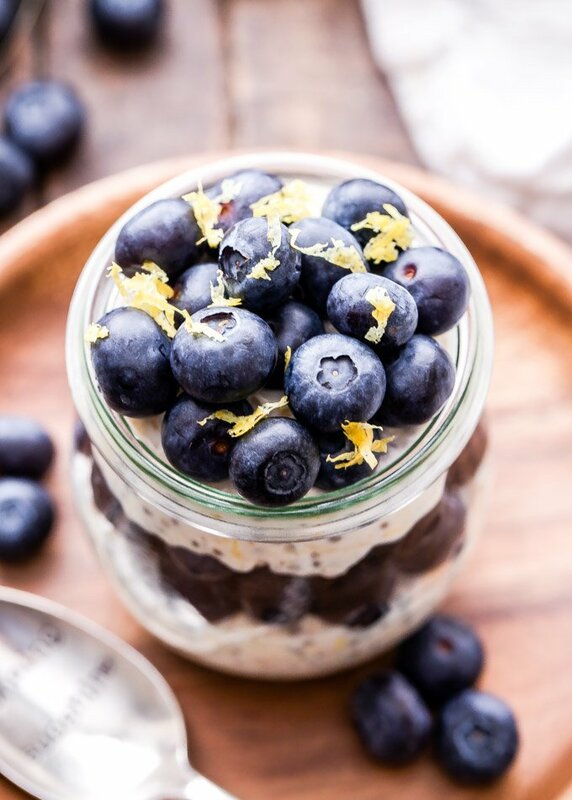 Blueberry Lemon Overnight Oats are a spring flavor you won’t be able to resist! Thick, creamy and full of protein. They’re perfect for a quick and balanced breakfast! 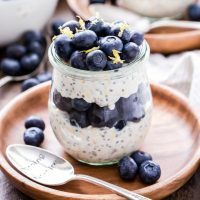 When the warm weather returns I usually find myself craving less of the baked oatmeal recipes and more of the cold overnight oat recipes with my new favorite being these Blueberry Lemon Overnight Oats. 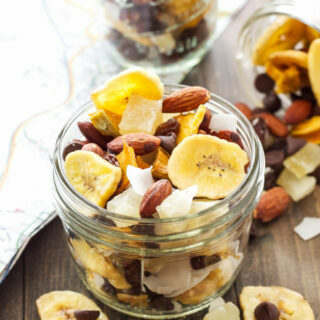 One reason is because a hot breakfast after a hot run isn’t always appealing. The second reason, which doesn’t always apply in Colorado, but it sure did in Arizona, is turning the oven on when it’s going to be a hot day can be brutal. The warm weather is just not happening this week, but I shouldn’t be surprised since March is typically one of our snowiest months. Figures. Everyone is starting to wear shorts and we’re reaching for our winter coats. The worst is when we get the annual May snow, often around or on my birthday. Lucky me. 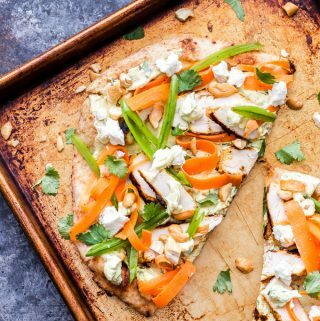 Even if the weather outside isn’t ideal and feeling the way you expect spring to feel, you can still brighten things up inside with the foods you eat. Lemon blueberry is a classic spring flavor combo and one that I love. I actually love lemon paired with any kind of berry. Big boxes of organic blueberries were on sale at the grocery store last week so I decided to give them a shot. I bought a box late last month and it was such a disappointment. 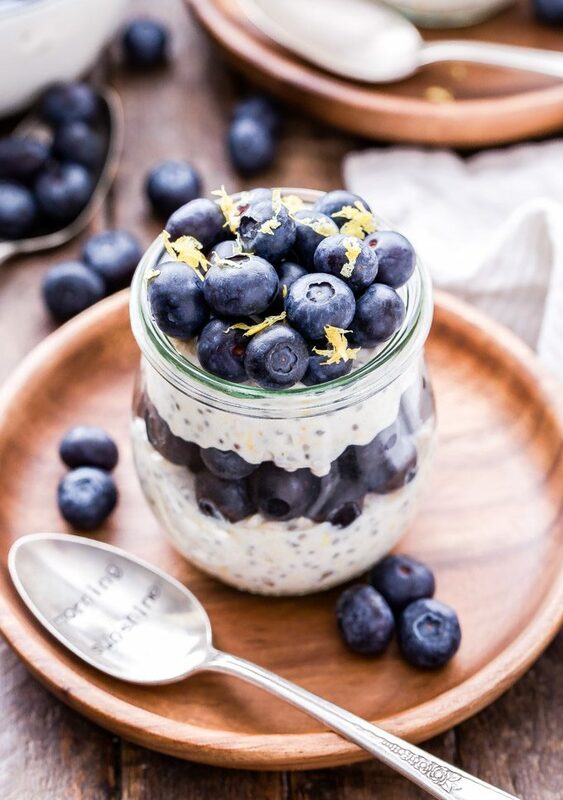 Luckily, this box was delicious and perfect to use in these Blueberry Lemon Overnight Oats. 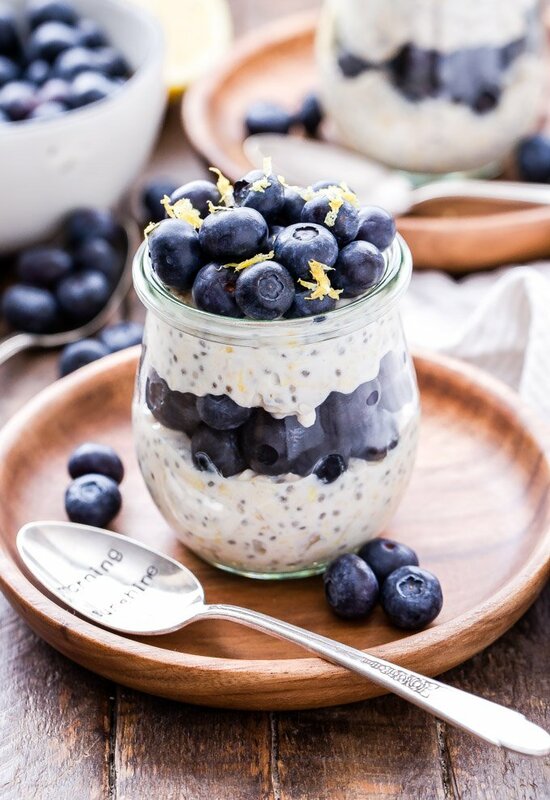 I prefer my overnight oats to be super thick and creamy, almost the consistency of pudding. 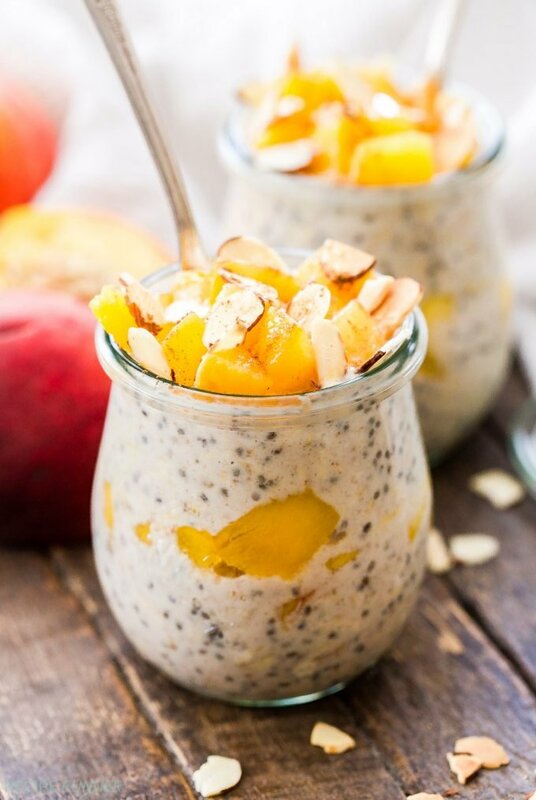 To make them that way I use a good amount of Greek yogurt, less milk and add in chia seeds. 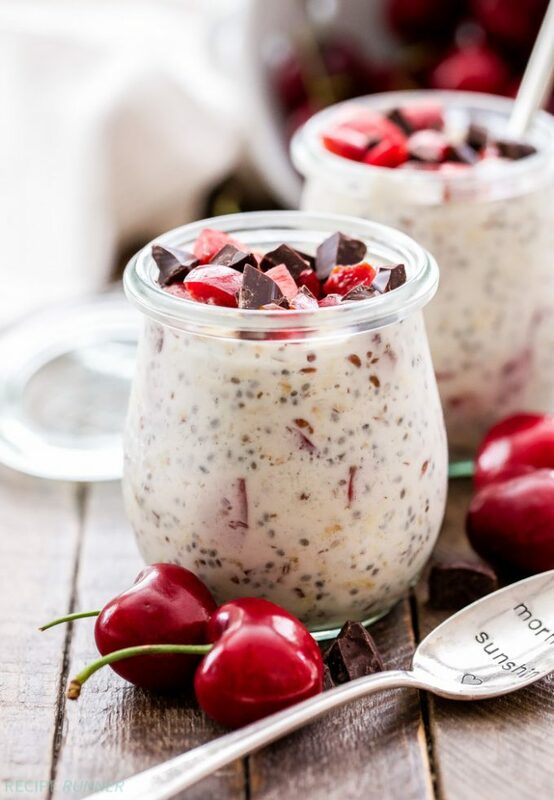 Chia seeds are great for thickening and they add protein and fiber to whatever they go in. The amount of blueberries you add in is really up to you. I’m usually heavy handed with them because when they’re good I can’t resist them. 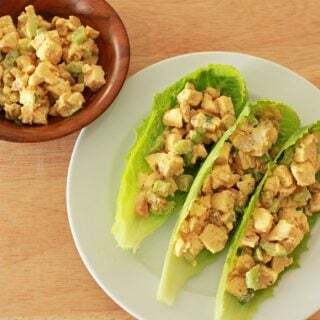 This recipe makes two servings, but you can easily double it. 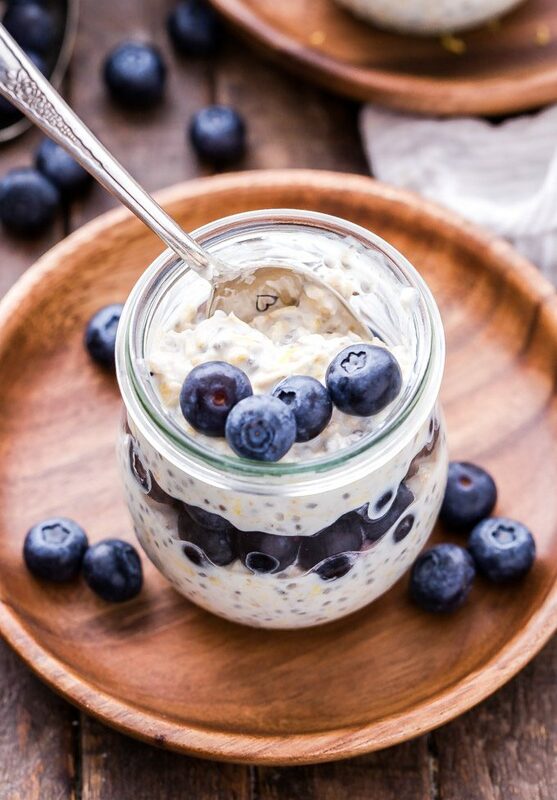 The overnight oats will keep for several days in the fridge and are perfect for a grab-and-go or post-workout breakfast. In a medium sized bowl whisk together the yogurt, milk, honey, vanilla and lemon zest until combined. 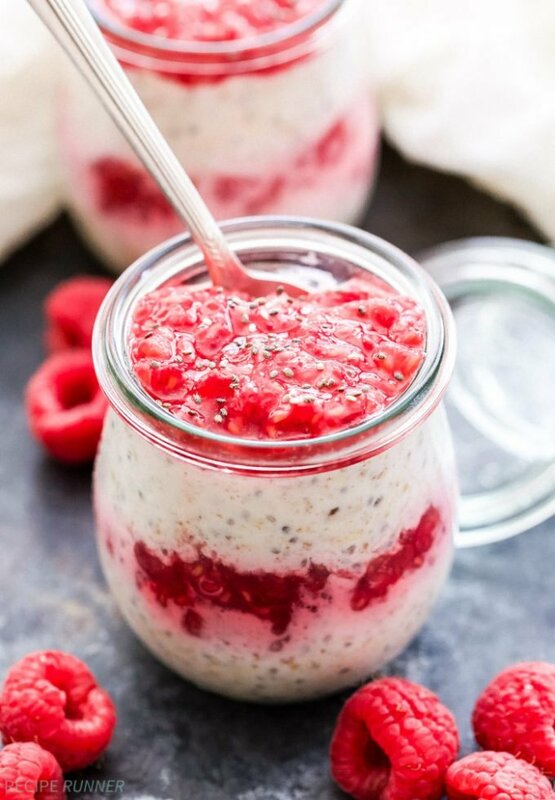 Stir in the oats, chia seeds and pinch of salt and stir until combined. Take two jars and spoon 1/4 of the mixture into each one. Spoon 1/4 of the blueberries into each jar, then repeat the process ending with the blueberries on top. Cover the jars with lids and refrigerate overnight. I hope you like it Diana, I love the flavor combination! Do you know how many carbs are in a serving?